This deer led her fawn to water in Susan Halford's backyard in Hudson Oaks, but that's not always the case. The extreme heat and persistent drought seen in much of Texas is taking its toll on wildlife, with deer, birds and other animals abandoning or unable to feed their young. Pregnant does are having problems carrying fawns to term, and most of them born prematurely aren't surviving, according to the Texas AgriLife Extension Service. Other does are abandoning their newborns because drought-induced malnutrition has robbed them of their ability to produce milk. Abandoned fawns found all over the Panhandle and South Plains have been brought to the South Plains Wildlife Rehabilitation Center. Ten had been brought to the Lubbock wildlife center by the end of last week. "With the drought, there is no feed for the mother deer. And if they can't feed, they can't produce milk. They can't feed their babies, so they are leaving them," center volunteer Gail Barnes told the Lubbock Avalanche-Journal. The newborns that don't starve are easy prey for predators such as bobcats. 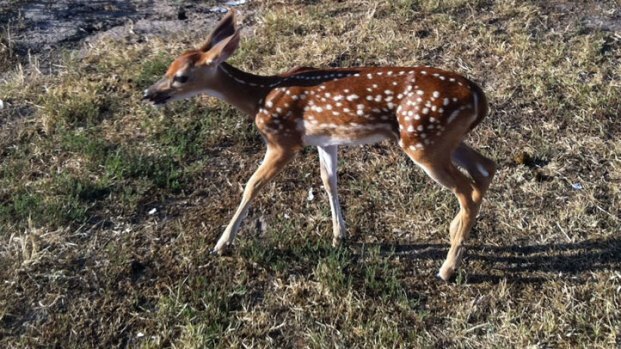 One fawn that survived an attack was brought to the South Plains center, Barnes said. "It's in isolation, it's torn up so bad," she said. Other fawns are in bad shape as well, she said. "They are emaciated and dehydrated, and we are having to hydrate them. They are responding after several days of hydration," Barnes said. A tiny fawn in Cleburne survived a tragic situation thanks to some quick thinking neighbors. The fawn's mother was shot right before she gave birth. The mother passed away shortly after the fawn was born. Without milk, the fawn would have died as well, so some people in the community took the fawn to a home with a herd of milk goats. Before long, the baby deer was feeding off the mother goat, and following the herd. Song birds and birds of prey also are suffering in the drought. "They are abandoning the nest and abandoning the young because they have to be able to feed themselves to fly and get food to feed the young," Barnes said. Temperatures have verged on or surpassed 100 degrees consistently across the northern half of the state since Memorial Day. Texas A&M University researchers have found that this past February to June was by far the driest on record for that five-month period with a statewide average of 4.26 inches of rain. The next driest occurred in 1917 with 6.45 inches. The drought has been going on even longer, however, with October to June also the driest since official climate record keeping began in 1895 in Texas. Because of the drought, the fawns will have to stay at the rehab center for three or four months, Barnes said. 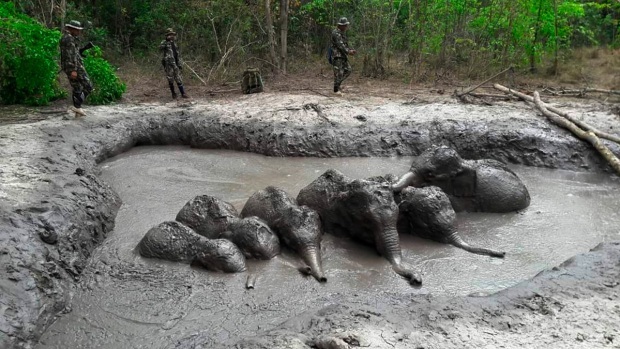 "We can't release them in the usual places because there is no water, so we are looking for places that still have a water supply," she said. Even when rain comes, the problem will not end, she said. "When the drought ends, the problem won't be solved for about a year," she said. "The grasses have to grow back, the rodents have to come back, all the trees have to grow their limbs back. This is long term."